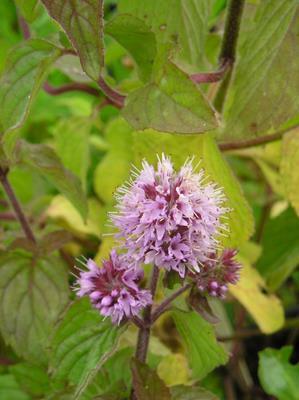 Native water mint has highly aromatic red stems and lilac flowers, held in dense clusters on terminal stems, in summer. It has culinary and herbal uses as well as being a superb bee and butterfly plant. If used an a marginal it is best planted in an aquatic container (see our aquatic pots!) or it can be planted direct in natural ponds. Planting depth 5cm/2in above the crown of the plant. Water mint can also be grown in any moist to wet soil and is good in bogs, although like most members of the mint family it can run a bit. Water mint can be used when cooking and it is best to remove the flowers if you like fresh mint! Cut back straggly or untidy growth after flowering and again in spring to rejuvenate the plant.